As a prominent writer, Egan was embraced into the South Bend social scene. The Lilacs was the site of numerous luncheons, dinner parties, and student organization meetings. 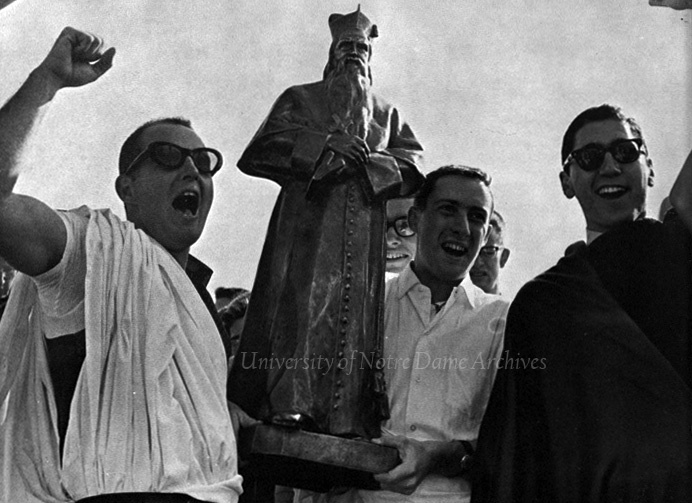 Many visitors to Notre Dame also stayed overnight at the Lilacs. 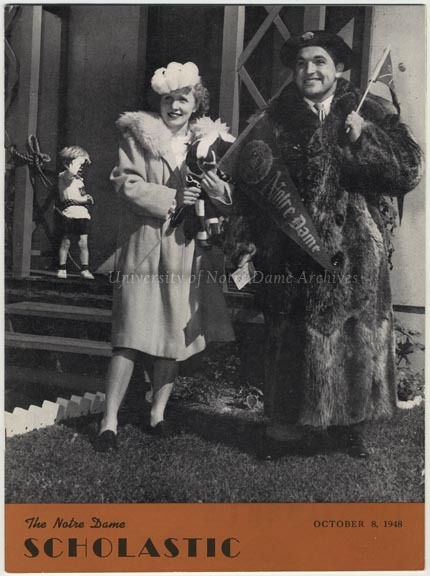 After Egan left Notre Dame for Catholic University, Professor Charles Petersen lived in the house. After his death in 1913, a number of faculty members and post-graduate students occupied the house. 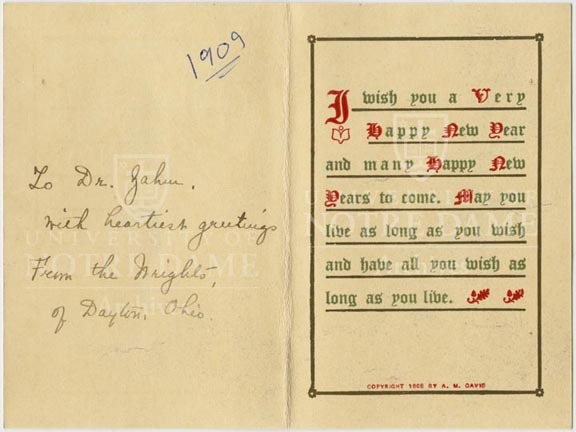 In the fall of 1915, seventeen students lived in the house, and this tradition continued for several years until more student dormitories were built on-campus. 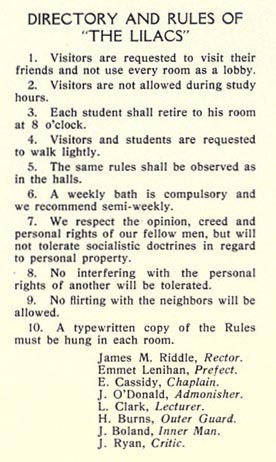 While the number of residents was small, the student publications Scholastic and Dome yearbook often mentioned the Lilacs (below is a tongue-in-check listing of the rules of the Lilacs). 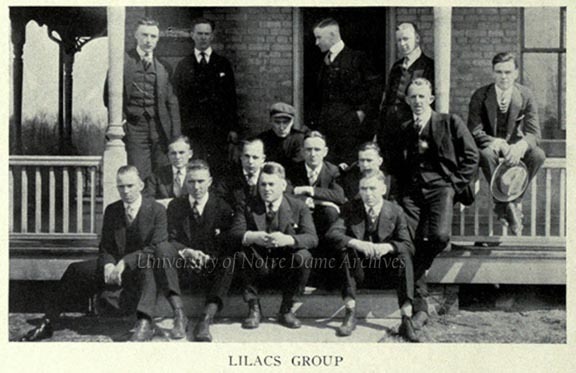 The Lilac students may have been seen as the privileged few. Since the house was situated a distance from the heart of campus, its residents had more quite setting for studying and a bit more freedom to go into town. The house was also on the Hill Street streetcar route, so most students would have been aware of its existence. 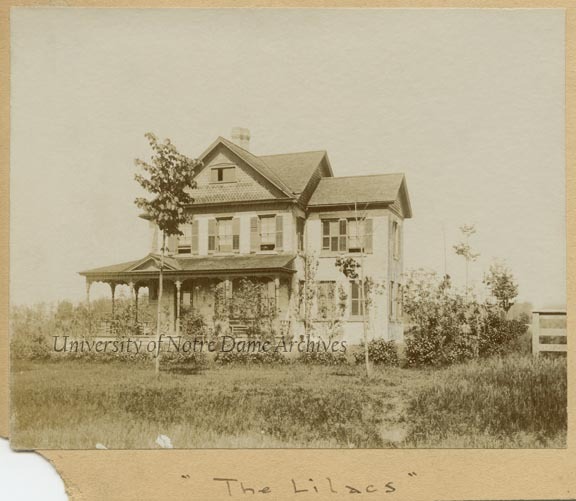 After the students left the Lilacs for on-campus housing, faculty members continued to live in the house for many years. The Lilacs still stands today, but is now a private residence.